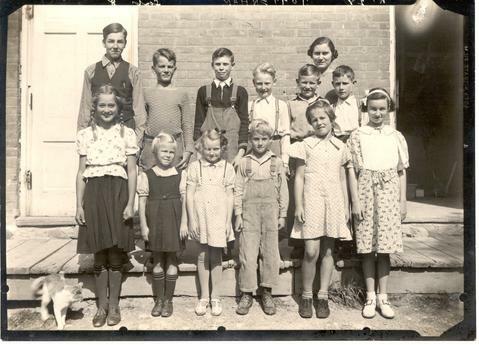 S.S. #1, West Gwillimbury, Dunkerron School. Teacher was Miss A.M. Lewis. Back Row, left to right: Ken Ogilvie, Donald Grant, John Kirby, Ronald Mills, Harry Holmes, John Readman, Miss A.M. Lewis in back. 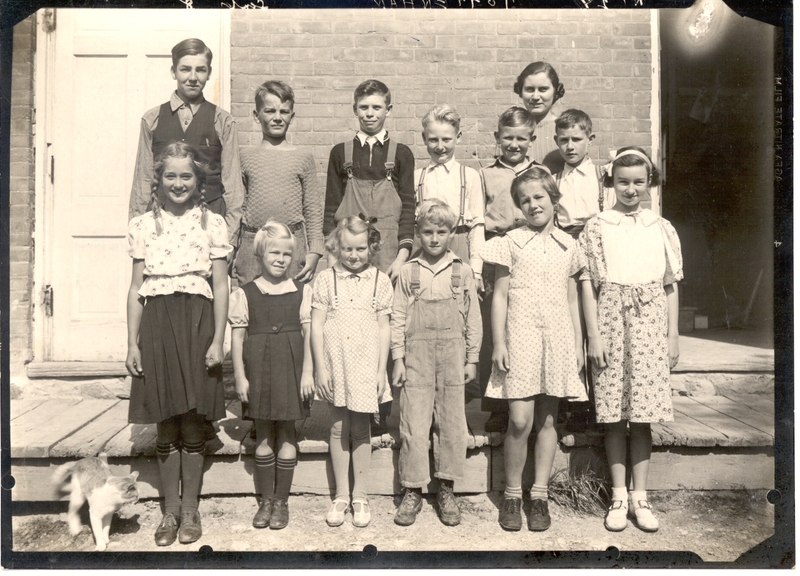 Front Row: Tineke Kuyper, Margaret Culler, Audrey Holmes, Donald Archibald, Eleanor Grant, Frances Wilson.